You Are Here, the Eindhoven-based concept store with an emphasis on art, design and fashion, changes its interior every six months. 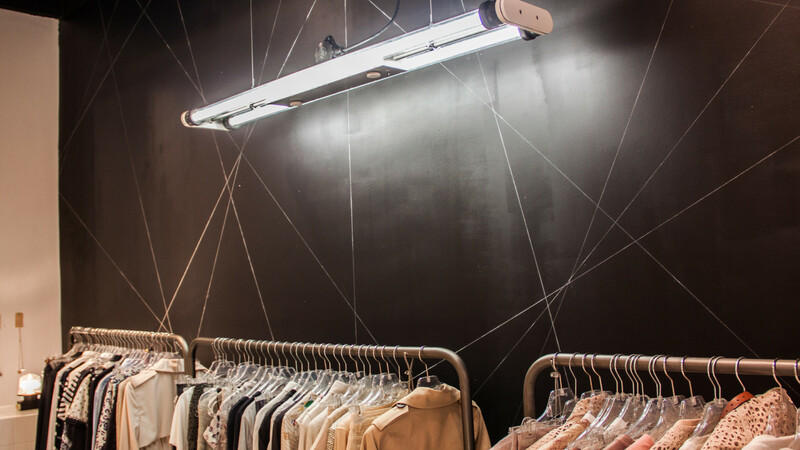 Blom & Blom was approached to create a lightdesign for this evertransforming store. Being a versatile and fluent location we decided to let the placement of the fixtures align with the existing fundaments of the space. One of our Puma fixtures was installed following the line of the stairs. Because of the changing character of the store we designed a Skinny Black Rhino on wheels that can be moved easily.